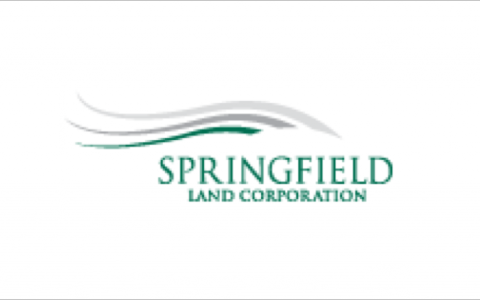 Springfield Land Corporation (SLC) is part of the MUR Group of Companies, which has developed over $10 billion worth of real estate projects nationally over 35 years. Greater Springfield is fast becoming Brisbane’s second CBD and is already the business heart of the high-growth Western Corridor. When complete, the investment in Greater Springfield will likely be worth more than $85 billion. The incredible growth achieved by SLC created some quality challenges for the business founders and for senior management. They needed to ensure the ‘DNA’ of the organisation remained at the core of every new initiative, and was in the heart of every new team member. They needed to plan for succession from the founders to the next generation. And they needed a structure, systems and processes to support continued growth, without compromising the quality of their amazing product. In short, the business founders wanted to future proof the business and ensure its sustainability, and this was the agenda that TAP was engaged to deliver. We began our work together by sharpening the aspirations for the organisation, and then benchmarking both ‘hard’ and ‘soft’ organisational levers against these aspirations, including the existing structures, systems, standards and symbols. Having identified the precise opportunities to increase alignment between the aspirations and the actual state, we began a systematic program of work, starting with structure; specifically role clarity and decision accountability for the board and senior management. Underpinning the work on structure was a very disciplined approach to increasing leadership effectiveness and alignment. This part of the process began with a 360 degree measurement of leadership impact, followed by regular one-on-one and team coaching sessions to implement strategies to close identified gaps. To encourage behavioural alignment in the whole organisation, the DNA ‘value statements’ were turned into specific standards of behaviour actionable by all staff. These standards were communicated passionately by management, and embedded in the organisation’s systems and symbols. SLC has continued on its incredible growth trajectory, with an increasingly new generation of senior management driving the organisation toward its ambition plan. Interconnected pillars of health, education and information technology continue to be at the core of this plan with precincts and economic drivers established to eventually cater for all forms of health, wellness and education. More than $11.7 billion has been invested thus far by our public and private stakeholders with a $1.2 billion major rail and transport hub already a pumping arterial for the area’s success. All of these achievements have been underpinned by an increasing level of leadership effectiveness, and a sustainable approach to growth and success.